The combination of 9 herbs helps to heal skin ailments caused by pollution, heat and dirt.This pill helps to heal acne, itching, boils, eczema and allergic. reactions.Dermaherb can given but for psoriasis and vitiligo additional medicines are recommended. 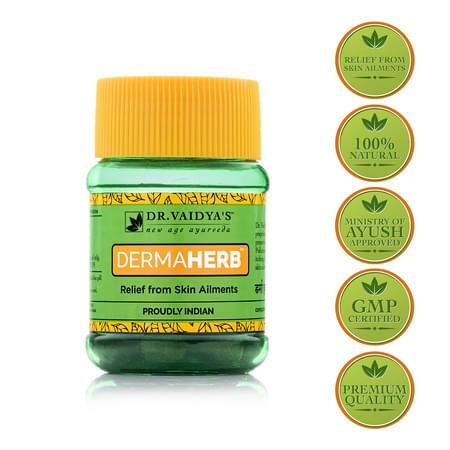 Dermaherb helps to expel the toxins toxins from Intestines by its laxative herb. It improves digestion and helps to purify the blood, purifies the blood and acts on the skin.